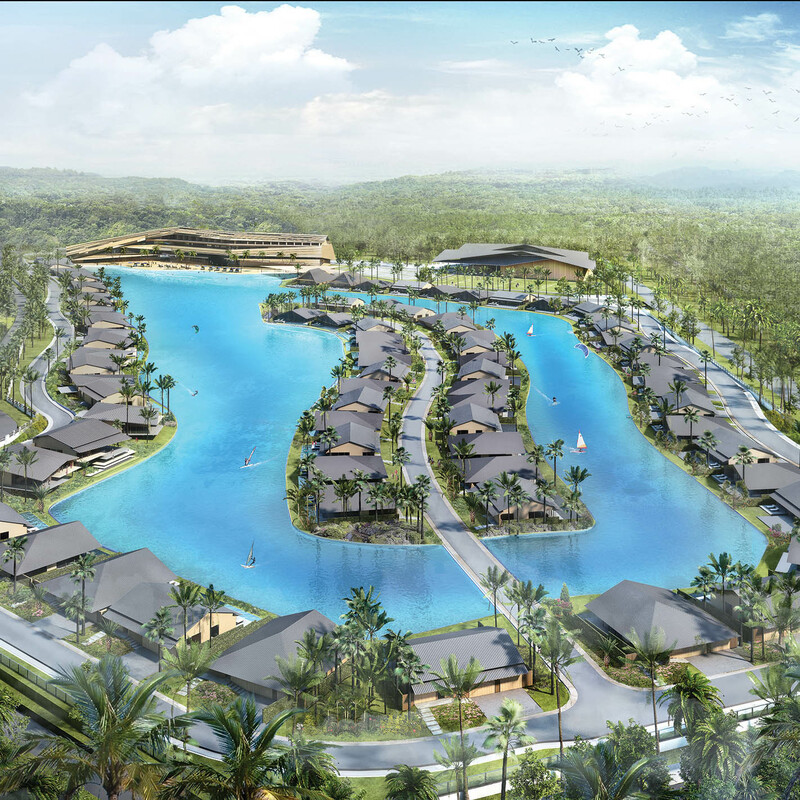 MahaSamutr, Hua Hin’s first & only Country Club with exclusive Luxury Villa development, built around Asia’s first & largest crystal lagoon. MahaSamutr, “The Ocean”, brings you the sea and beach in a manmade, safe controlled luxury environment for year round family leisure and recreational activities. Measuring more than 800m long and 72,000sq.m. in size, every Villa overlooks pristine waters of MahaSamutr Lagoon, providing the pleasure of waterside living, offering the perfect environment for swimming, paddleboards, diving and other water sports. Using the technology of Crystal Lagoons Corporation, water colour and quality is carefully controlled, which is both environmentally friendly and energy efficient. Now under construction. Register your interest - sales commence in 2015.